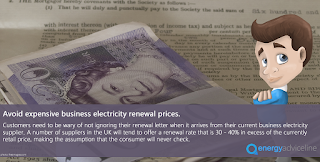 Energy Advice Line: How much is your renewal? 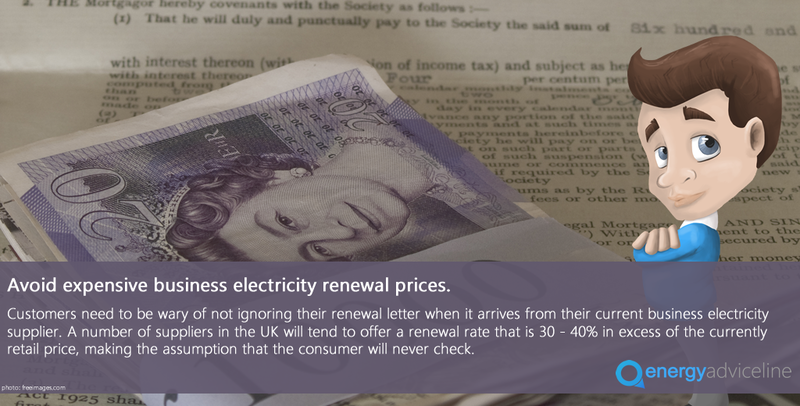 A supplier's renewal letter can be very misleading in the way that it presents the price to the customer by using terminology such as "Don't worry, we are protecting your business prices for a further 12 months". If this terminology is used in the subject header of the letter many customers will trust their supplier and assume that the electricity rates detailed within the letter are competitive and the supplier is offering their best price first time.